Phillip Ssozi is ready for the league kick off, his side Express FC face a season of their life. Kasozi Ramathan in Kampala previews the season taking a keen insight in the teams' camps visa a vis their chances of having a touch on the silver ware and relegation survival. The 2008/2009 Uganda national soccer Super League bankrolled by GTV is scheduled to tease off this month (August 2008) with a double mouth watering ties pitting nemesis Sports Club Villa and reigning champions Kampala City Council Football Club in a flood light titanic battle. The big one will be preceded by last year's Kakungulu Cup winners Victors FC against perennial contenders Uganda Police FC. Most of the teams have been busy in the transfer market, shopping various arsenals to add to their already existing armories ahead of the kick off. Will the jogoos end their 4 year trophless drought? Since last season there has been some enormous changes at Villa Park - Coach Asuman Lubowa's three year spell at Nsambya ended, giving way to club prodigal son Sula Kato to take over the mantle. Midfielder Jeremiah Ssebuyira, defender Joseph Owino and Henry Kisekka exiting Villa Park as some few youngsters from the club's nursery Joogo young graduated to fill the gaps. Despite losing the above trio during the transfer window , analyst say the wise decision that the club bosses made was to cling on and manage to give the team's king pin Stephen 'Requelme' Bengo a new contract from the eagle eyes of big spending URA, KCC and Nalubaale. The last season's Most Valuable Player, has been the key target to most of the big teams scrambling for his signature. Bengo's decision to stay at Villa Park has over shadowed the departure of the above trio and it's his genius and the arrival of Sula Kato that gives hope to the club fanatics that the season is theirs. Flash back his two magical goals against archrivals Express FC from the dead ball, his stunner in Villa's 4-nil mauling against URA FC and a 45 yarder scorcher against Simba can tell what this 20 year old boy is made of. The departure of Owino calls Kato to deploy all rounder Mike Azira back to the sweeping role from the midfield along side Kenyan Skipper Tony Ndoro . Youngster Dan Walusimbi and experienced attack minded right full back Simon Masaba complete the four man rearguard. Former Express FC forward Moses Adune will shoulder the goal hunting responsibility along side Mr. Bengo as Oscar Agaba mans the midfield. The acquisition of a sponsorship deal from Uganda Telecommunications Company and their partisan crowd will be the 12th player on the pitch. 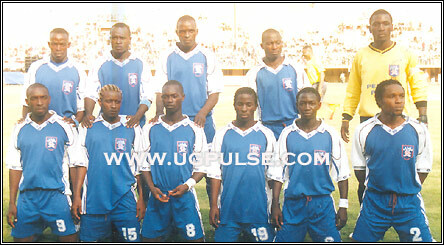 However, inexperience of the squad remains the key undoing to the Ugandan record 16 time league winners. Champion material: SC Villa youthful side is among the top favorites for the crown. They start the season as the top favorites to retain the trophy. The 'Kasasiro' boys despite their winning squad remaining un touched have left no stone un turned in the transfer window as they have secured some serious signings to further beef up the team. Mid field ace Jeremiah Ssebuyira from cross city rivals Scvilla, Godfrey Kavulu and Rwandese Omar Hitmana from Express FC are among the new recruits that have put a pen to paper to ply their trade at Lugogo. All said, the heavy engagements that await George Nsimbe's boys both in the CAF Champions League, CECAFA, Kakungulu Cup and nation team engagements might turn a dis-service to the yellow boys. The decision under taken by team tactician Moses Basena last month to reshuffle his squad surprised very few owing to the disastrous performance in the previous season. Basena, last month showed exit to over six senior players in an exercise he code named 'cleaning the house'. 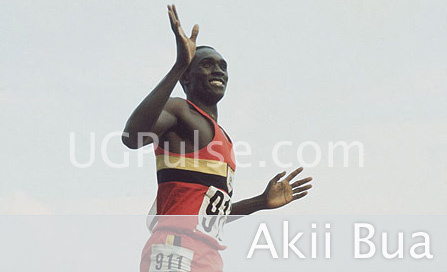 Among the notable culprits include long serving club captain David Kazibwe, the former Scvilla pair of Joram Katende and James Kayimba, experienced full back Richard Malinga, hard tackling midfielder Dan Obote, goalie Musa Mohammad and striker Sam Nadduli. 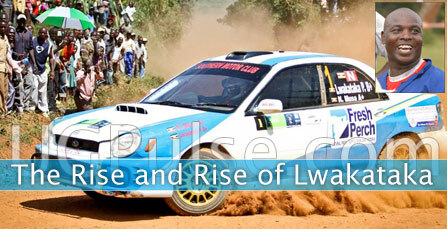 "After a disappointing previous season, the team needed some panel beating as some of the members had lost stamina . Am sure with our new signings we will look a different side this season," reasons Basena. After the exit of the above quartet, Basena broke the bank and secured the services of the country's best local based goalie Abel Dhaira from Express, Defender Joseph Owino and Henry Kisekka from Scvilla and Jackson Ssenabulya from Simba. The arrival of Owino at Kyambogo re unites him with Musa Doka whom they command with the cranes rearguard of local based players. All in all, the eyes will heavily be on the pint sized but deadly mobile mid fielder Daniel Wagaluka if the team is to win any accolade. The team's progress in the on going CECAFA championship in Tanzania will flash us what to expect from the two time champions when the league gets under way. The Ugandan cops will always feel unfortunate for failing to lift last season's trophy despite dictating matters up to the last 2-3final games before they lost the grid to KCC and Sc villa. Coach Sam Timbe hasn't been to much in the transfer market but like Villa, the 2005 champions are known for grooming raw talents and team work as their secret weapon. URA FC reject Joram Katende has rejoined the team to partner Alex Ndugga, Henry Kakooza and Benison Ochiti to search for goals. Winning the title might again be a hard task but at least expect Timbe's boys to create a stiff competition in the run for the title. The FUFA president Lawrence Mulindwa bankrolled team is enjoying an up ward trend since its promotion to the top flight football, three years ago. The acquisition of Ayub Kisalitta from Express FC and the arrival of midfield dynamo Owen Kasule from KCC FC is enough to submit a serious warning to the big boys what to expect from Bunamwaya. By press time Bunamwaya United, was yet to unveil the country's new sensational kid on block Simon Ceaser Okhuti from relegated Edioffe Hills FC. This is in addition to the already exiting live wires in making of Ronald Muganga, Tony Odur, Robert Kimuli, Yudah Mugalu, Derrick Walulya, Hamza Muwonge �mention them. With all the 'glove handling' accorded to them from FUFA, if they miss the league I wont be surprised when they walk away with the Kakungulu cup. The club's tycoon, Njubi prior to the transfer window had earmarked over 300million shillings to splash in the transfer exercise but surprisingly by press time coach Dorian Marin was yet to spend even a penny not because the cheque had bounced but because non of the big targets were willing to join them. Top on the list were SCVilla's Stephen Bengo , Express's Abel Dhaira, Ceaser Okhuti,and the Rwandan based pair of Joseph Kabagambe from ATRACO FC and Jimmy Kidega . But all said sorry to the fish tycoon, hence resorting to rejects like Richard Malinga and James Kayimaba from URA. The Jinja Municipality based team was in a tip top form last season and were rewarded with at least their first ever silver ware since joining the Ugandan top football by winning the Kakungulu cup. All said, the untimely departure of their magical coach Sula Kato to SC Villa has taken the centre stage and by press time the club owner Conel Bell Tushabe was still up and down searching for a suitable replacement. Captain Isaac katwere and younger star Simon Sserunkuma remains the team's back borne. With the massive exit of most of the key players - Hitman Omar, Godfrey Kavulu, Abel Dhaira, Ayub Kisalita� from Wankulukuku every one is waiting to see how Coach Jimmy Muguwa will absorb the insults from the impatient ruthless red army. The Club's big man Kavuma Kabenge prior to the transfer window clearly stated that every player was free to move from wankuluku provided he wished, arguing that they were in process of building a new team. Yes, Rome wasn't built in a day but you wonder for how long kabenge and company will build the team bearing in mind that, ever since 1996 when they last won the League trophy they have been claiming to be a building. Not being superstitious, but I don't see Jimmy Muguwa completing the season with the Red eagles and if it wasn't the pedigree of the club, I would predict to find the Red eagles at one point in the relegation battle like it was in the 2006 season but because of that I see the former giant club languishing in the mid of the table. The Masindi based team will have to hope that the fortunes that eluded them the Kakungulu cup last season doesn't re haunt. Former SC Villa and Mbale Heroes striker Hesbon Mundia and the relatively good home record will play a vital role in determining the destiny of Leo Adra's team. Very little is known in the Busoga region representatives' camp but like police FC they are known for grooming their own talents other than scrambling for the already established ones , the reality that by press time they hadn't signed any player proves my argument. A bulk of Uganda's talented players have all ever passed through the funny Iganga Saaza ground namely Former SC Villa midfield guru Hakim Magumba, Nathan Mutenza, Andy Mwesigwa, Johnson Bagoole, Dan Wagaluka,Kadogo Alimansi, Emma Balyejjusa, Henry Okubasu , Umar Kaluya , the list is endless. Winning the title will be like seeing the Pope converting to Islam but with the home killing instinct at their bumpy slaughter house in addition to the partisan crowd, dodging the relegation axe is a possibility. For the last two seasons , the National Water and Sewerage Corporation sponsored side, failed to find the rhythm that saw them storm the finals of Kakungulu Cup in 2006 against Express and have been surviving the relegation axe by just an edge. "We have struggled to regain our 2006 form but this season we shall try to do all what it takes to stamp our authority back in the league and other competitions" warns Abbey Nassur the team's assistant coach. The Lira based team managed to escape relegation for the second year learning and like since their qualification to the super League, the Tigers intimidating home den remains their 12th player on the pitch as very few teams have ever enjoyed their visit to Lira. Giants SC Villa, URA and Express FC who were once thrashed 3-nil can testify. Midfielder Jacob Otinga and Francis Omara are the players to watch. Winning a silver ware appears to be a tall order but surviving the relegation once again is a possibility. The new comers: Sharing FC, Youfra, Bugerere, Kakira and Mbarara. Like most of the clubs making their debut in the top flight football, you expect surviving relegation to be their primary target. However, you tend to feel sorry for these newcomers as history is against their way. 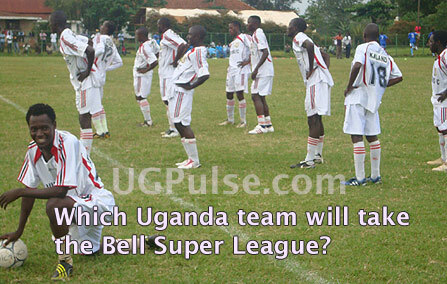 Records in Uganda indicate that very few debutants can negotiate with the hot waters of the Super League. Flash back last season, it only Nalubaale that managed to survive from the debutants pool that had the likes of Ediofe Hills, CRO, Biharwe and Maroons. In 2007, its only Boroboro Tigers that escaped while ayear before, Bunamwaya was luckiest to survive. All said, soccer is soccer, lets just keep our figures crossed and see what these new comes have in store.